Just minutes from the Galleria, in the heart of Houston. Front door parking available. Drive right up walk right in. No appointments necessary walk -ins more than welcome. Looking for a place to buy your gold in Houston. Contact us today! We are always buying gold and silver in Houston. We love to talk gold, silver and jewelry with our customers. Stop in today at our 1330 Westheimer location and let us make you an offer to buy your gold jewelry, coins or bullion. We have been in the same location since 1997. Family owned an operated, Houston Gold Buyers has served the Houston and surrounding areas for nearly 30 years. We are looking to buy all gold in Houston. We buy gold jewelry, broken jewelry, gold coins and gold bullion. If it is gold we will buy it. If you choose to sell your gold to Houston Gold Buyers we will pay you on the spot. No waiting on a post dated check we will pay you right away. We also buy silver, Rolex watches, coin collections, Hummels, Lladro, old guns, classic cars, old stamp collections, and honestly anything collectible. 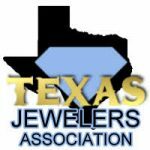 When you are looking for a reputable company to buy your gold in Houston there are a few things to consider. First, how long has the company been in business. The last thing you want to do is a sell to a place that just popped up. How do you know they will be there next week. Second, how are their reviews. Google and Yelp reviews are an invaluable resource for consumers. You should always check out customer reviews for any business you want to do business with. You want to ensure you are doing business with a reputable company especially when selling high dollar items like gold. The last thing you want is to feel ripped off after you sell your gold. Third, make sure you will not have to wait for your money. Why would you want to hold on to a check and wait for your money. Come in today get paid today. Houston Gold Buyers has been buying and selling gold in Houston for nearly 30 years. Besides being the premier Gold Buyer in Houston, we also sell gold and silver bullion as well. If you are looking to invest in gold or silver stop in today and let us help you get started. We stock god and silver eagles, Krugerrands, Canadian Maples, Chinese Pandas, British Sovereigns, Gold bars, Silver bars and much more. Have a rare coin you are looking to add to your collection? Give us a shout we might have it. Looking for a Pre-Owned Rolex? We have those too! Why would you go and spend full retail for jewelry when you can buy it from us at a fraction of the price? We stock G.I.A. certified diamonds, engagement ring settings, necklaces, bracelets, earrings and pendants.